The premium and free packages should be unzipped before installation. To help novice users with configuration of CMS - we provide packages called QuickStart. A quickstart is basically a fully functional and customized Joomla! 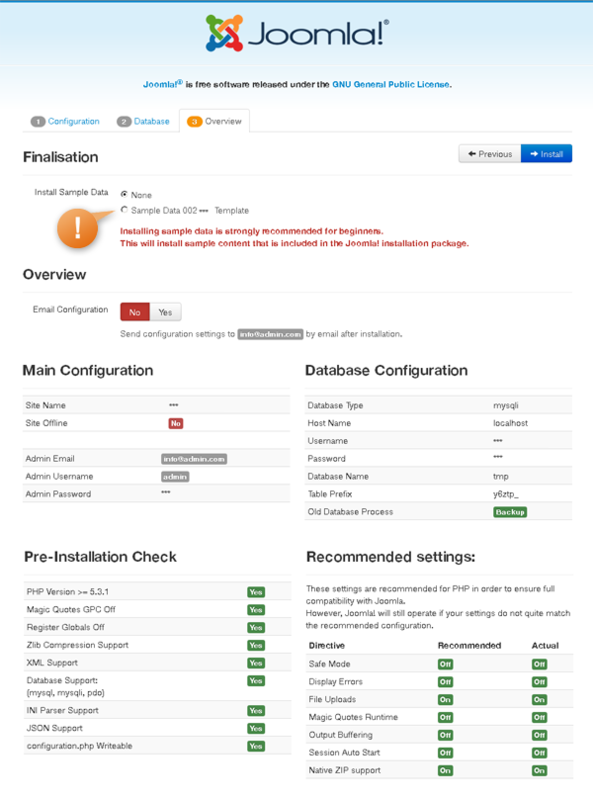 package containing the default Joomla installation package, all modules, choosen template and plugins with all the configurations and data in one place. The sample data in the quickstart package is also personalised according to the template and is much different to the sample data found in the default Joomla package. If you have shell access then you can upload the as002022_quickstart.zip file and unzip the zip directly on the server. Its much faster! If you don't have it, the package should be unzipped on your localhost and then uploaded on the server. Open your web browser and navigate to the folder that you uploaded your package to. Your url might look like this http://www.mysite.com/joomla/index.php. First please choose the language, then fill out all requred filds. Due to security reasons as a user name we recommend other name than 'admin'. Click 'Next' button. The details you enter here are important as this is where the actual information for your Joomla installation are going to be stored. Put all needed information here and click 'Next' button to procced to most imoptant step. Most important on this page is Sample Data Installation. Without installing the sample data you will not have your site looks like our demo preview. You have to click on the 'Sample Data Template' radio button in case to install the demo package content. Also, this page will give you a sense of your server compatibility. You will need to troubleshoot any of the flagged areas that are unsuitable for a Joomla installation before you continue here. Please mind that every potential wrong setting can bring many headaches. Once you get installed the Template Sample Data and the all clear ... click 'Install' button. 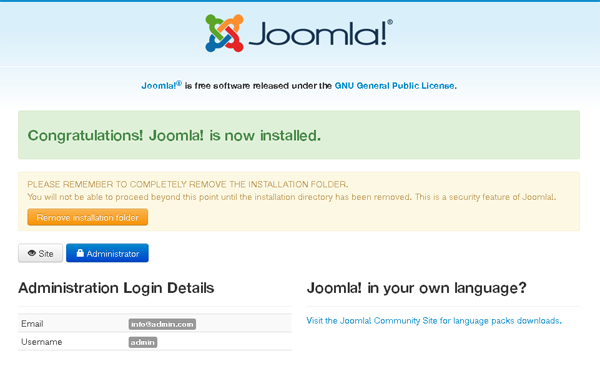 When the installation is succeeded you should reach the final page that tells you that your Joomla! is installed. Now you should remove install folder otherwise you can't login to admin or visit website frontend. Once you have done that you should successfully be able to navigate to the front end of your site and see the template set up exactly the same way as the demo site. 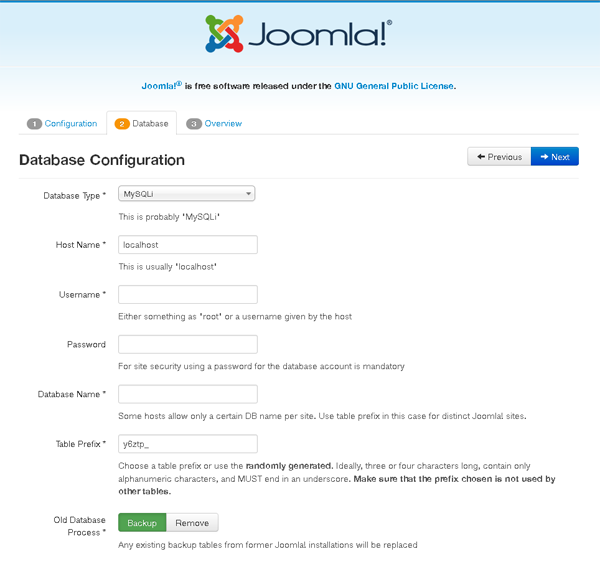 Joomla template does not come with any demo content. Template is only predefined layout of possible modules positions including the main website graphics like header, logo or footer. In the administration section of your Joomla! website go to the "Extensions -> Extension Manager -> Install". In the "Upload package file" section browse for the as002022_premium.zip file by clicking on the "Browse" button. Install all plugins and extensions from the extensions folder. In the "Upload package file" section browse for the as002022free.zip file by clicking on the "Browse" button. This item may be used for a single domain only. This item may be used for unlimited domains. Get an access to all 98 items designed and developed by AS Designing team plus all the future items which will be released over the course of your club subscription. 002022 is Responsive Nature Joomla template is based on the Bootstrap and AS Frameworks. The Bootstrap Framework makes it fully responsive to all screen resolutions and aspect ratios, the AS Framework allows you to customize our templates with minimum coding knowledge. The template is created to represent professionals professionally. After taking the theme you just need to make your job skillfully - the theme will take care of everything occurring on the internet.